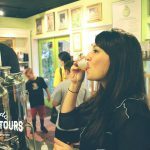 Setting the record straight about Orlando Food Tours… Have you heard that Orlando Food Tours has been around for years? What about that stinking old truck that the owner drives as he reeks havoc around Central Florida? It’s okay. We’re starting to hear about these myths too, so we wanted to take a moment to set the record straight. Here at Orlando Food Tours, we started holding VIP tour experiences in 2013. Unfortunately, there’s been a lot of Orlando food tours that didn’t last over the years and there’s no doubt that the old Orlando Food Tours could be one of them.